Let us show you how we were able to increase the conversion rate across our network of sites by more than 37% with a 10 minute tweak!!! We couldn't find one site in our network that this didn't work on. We saw gains of over 120% on some of our sites!!! We have tested this on tens of thousands of transactions and were amazed with the results each and ever time!! So, how can we afford to offer you Double Your Money Back?!?! Because it works!!! We aren't hear to give our money away, and we wouldn't make such a bold offer if were weren't absolutely sure it would work! To this day we haven't had one person ask for a refund! So at this point you are asking yourself what is this secret? Well, it's something you have seen time and time again, but may not have ever paid attention to. There is a reason that even the most well respected companies use this tactic, and that's because it works!!! PETCO.com one of the leading names in both online and retail pet supplies ran a series of A/B Split Tests using this very technique and was able to increase their conversion rate by 8.83% according to marketingsherpa.com. Imagine if a brand name company with great market penetration and awareness like PETCO.com can increase their conversion rate by 8.83%, what it can do for your no name site. So you ask, why so some websites get more then a 37% or even 120% increase while others get just under 9%? we saw an amazing and instant increase in sales. At this point, you should be asking yourself how do I get a complete stranger to Trust my no name site? Drum roll please!!! Trust Seals!!! You know, those little third party badges you see on sites that say the site has been verified and monitored. What we do is give you access to not just one trust seal, but numerous trust seals from different authoritative sites. Each of these sites address a different fear or apprehension that an online consumer might have. We are constantly testing and adding new trust seals and authoritative sites to test. We believe we have found some of the highest converting seals you will find around, and we are willing to put our money where our mouth is. If we aren't able to increase your conversion rate, we will give you double your money back!!! With trust seals like, Mcafee's HackerSafe, you are only addressing one consumer concern. Is this site safe from hackers? This still may leave consumers asking themselves, Is this site a scam? and/or Is this site going to spam me? However it fails to address other concerns. These are all very real and valid questions that consumers have when deciding if they should make a purchase on line. This is also the reason that you see sites with numerous seals like, HackerSafe, Truste, and The Better Business Bureau. They each address a very different concern and when combined are able to instill a since of confidence in the average consumer, and have a dramatic effect on the conversion rate a site has. The effect is more significant the less known your company and websites are. Too see what kind of income you are missing we have created an Return On Investment Calculator. 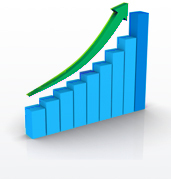 DRAMATIC INCREASE IN PROFIT you could achieve in just a few minutes. Adding Trust Seals to your site could make you an extra $13,767 per year! We believe in our service so much that we guarantee you will Increase Your Sales or we will give you Double Your Money Back!